Beachbody has my vote for great workouts for women. Right now I am loving P90X3. Agility X is one of my favorites among the long list of workouts offered. Yesterday while shopping, I was really wanting to grab a box of Cheez-Its (currently my kryptonite – to borrow the current buzz word from my 14 yr old) to open and snack on while I shopped. Happy to say I resisted the Cheez-Its, but unfortunately could not avoid the Reeses Cup that jumped on the check out belt from the check out aisle. That checkout aisle is killer some days, isn’t it? Never can they place apples or bananas there to stare at you, nope, it’s always the candy bars and chips after you have meticulously walked very quickly past the junk food aisles and the bakery without putting even a single good smelling delicious, melt in your mouth, fresh baked cookies packs in the basket. Make sure you don’t go shopping on an empty stomach or be prepared with a protein bar in your purse! And remember, it’s not worth it! The Reeses Cup won’t even be fresh! As you know, I recently started P90X3 again. 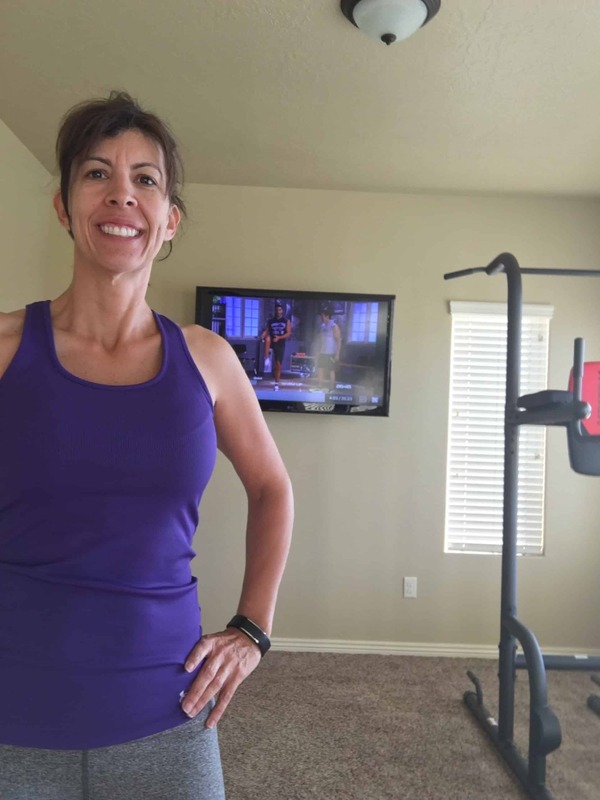 Out of all of the different workouts I do, P90X3 offers me the best overall whole body workout that includes both cardio and strength training. For those reasons, in my opinion, P90X3 among one of the best workouts for women. Today was the Agility X workout. So many sets of lunges and squat moves with cardio. My glutes and hamstrings are always painfully sore the next few days from this workout. I love that – it means I worked hard! Agility X is one of my favorites in the P90X3 series. The entire workout is built around 2 pieces of tape placed about 3-4 feet across from each other, about 3 feet in length. It makes for a fun and different session! This fast moving workout burns 300-400 calories. The explosion of moves keeps your muscles guessing and working hard. Of all of the P90X3 workouts, this one is the most fun and leaves me the sorest for days after. Sign up on Beachbody On Demand today and join me! Tomorrow is Yoga. While you’re at it, why not join me in my next weight loss group? Just complete this form! 22 Hard Corps – how much better does 22 min get? Great fat burning!